Susiside is the name used by a female love-meet.net user in Grand Theft Auto IV. No matter how many times Niko Bellic contacts her, she will never date him. 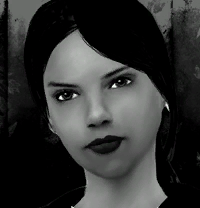 She is a 19 year old from Alderney, and possesses a rather dark and cynical attitude, judging from her profile. It is hinted that she is either goth or emo, due to her stereotypical behavior (dark attitude, self-mutilation, etc.). This page was last modified on 26 October 2013, at 19:30.